For most law firms, nailing down your c-suite successor two years in advance may look excessive, but when your leader is a veteran who could give Nigel Knowles a run for his money in industry prominence, it may be a wise move. Such appears to be the logic at mid-tier thoroughbred Macfarlanes, which has confirmed today (8 January), that its print-friendly senior partner Charles Martin (pictured) will be succeeded in April 2020 when his latest term ends by private client partner Sebastian Prichard Jones. The announcement signals the end of Martin’s fourth term in Macfarlanes’ leadership, by which time he will have had 12 years at the helm of the City institution. In an unusual process reflecting the firm’s distaste for heavy-handed politics, Prichard Jones’s name ‘emerged as a result of an extensive consultation of partners of a period of months’ rather than a formal election, Martin told Legal Business. 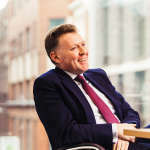 Martin said an early announcement concerning the firm’s leadership was ‘the right thing to do, both internally and for clients, so that people can see clearly the direction of travel’. 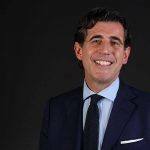 The corporate lawyer first took over as senior partner in 2008 and oversaw the City stalwart’s turnaround from the post-Lehman crisis to become one of the most successful UK firms financially. Macfarlanes bounced back from falling revenues of 10% and 7% in 2008/09 and 2009/10 respectively following a major decline in corporate work. The firm has recorded seven consecutive years of revenue growth since then to bill £167.6m last year – a 64% rise in the last five years. 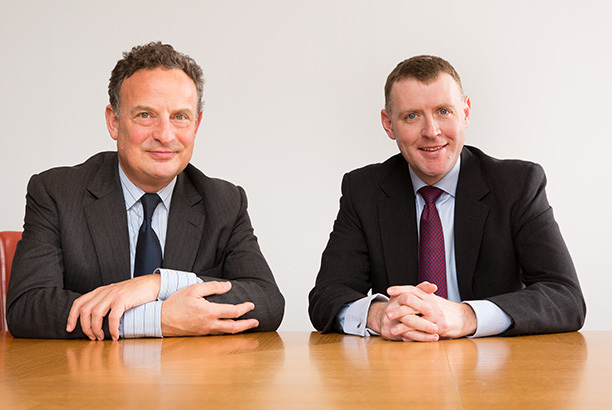 Macfarlanes is also one of the most profitable law firms in the UK. At £1.376m, its profit per equity partner is higher than that of Clifford Chance and only second to the other four Magic Circle firms and Stewarts Law. Prichard Jones joined the firm as a trainee in 1996 and works with high net clients, advising on structuring, investment and tax issues, underlining Macfarlanes’ relatively unusual stance as a large City firm that still maintains a substantive private client team. Martin will be working with Prichard Jones over the next two years and increasingly involve him in the decisions concerning the firm. Martin also noted that an announcement concerning the managing partner is expected in the coming months. Julian Howard’s term also expires at the end of April 2020 and the appointment for the new term will follow the same process as the senior partner. While Prichard Jones takes on a strong legacy, there will be challenges ahead. The outgoing Martin has long been regarded as one of the most thoughtful and effective leaders in the profession, proving adept as repositioning Macfarlanes after a troubled period post-banking crisis. Given that the 410-lawyer firm has required strong and robust characters in the past like the super-connected Vanni Treves, the no-nonsense Robert ‘Captain Bob’ Sutton and Martin to marshal the troops when a little changed was required, Prichard Jones will have to work hard to establish himself.